Once you have become skilled at cover letters, resumes, and job applications, you’ll begin receiving requests for interviews. Now it’s time to learn how to succeed at the job interview so that you can achieve your goal of receiving several job offers. 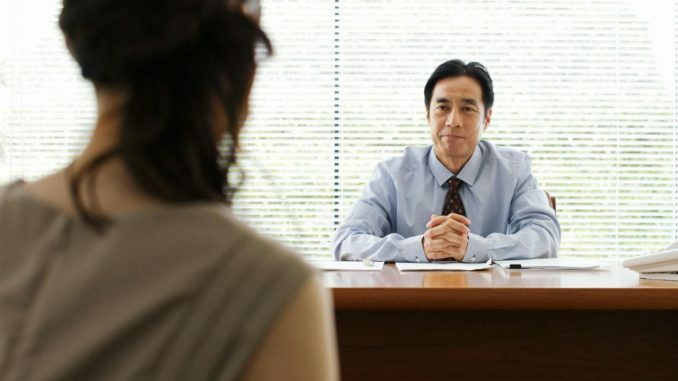 The focus of this article is on the ten most important job interviewing tips for jobseekers. Preparing responses to expected interview questions is vital to interview success. Start by asking the hiring manager what type of interview to expect. Will it be one-on-one (meeting with one person) or a group interview, where you’ll meet several members of the company? You want to try to determine which questions will be asked and to compose comprehensive yet concise responses that put emphasis on specific examples and accomplishments. A good way to remember your responses is to put them into a story form that you can use in the interview. You don’t need to memorize responses (in fact, it’s best not to), but you should develop talking points. Several excellent tools are available to help with interview questions and responses. You might also consider using the STAR Interviewing Technique. Because a successful job interview begins with a solid foundation of knowledge on the job seeker’s part, it’s important to familiarize yourself with the employer, the job requirements, and the background of the person (or people) interviewing you. Conducting as much research as possible will help you better understand the employer and allow you to give insightful answers to interview questions. Key research tools include searching the company’s website and other published materials, search engines, research tools, and asking questions about the company in your network of contacts. Learn more about job search job interview researching here. The key to success, once the interview starts, is the quality and delivery of your responses. You should always be authentic and respond truthfully to interview questions. Of course, your goal is to advance to the next step, so you’ll want your responses to showcase your skills, experience, and fit with the job and the employer. Keep responses short and to the point while providing solid examples of your solutions and accomplishments. Preparing responses to common interview questions will ideally allow you to avoid long, rambling responses that bore interviewers. Always try to keep your interview responses short and to the point. Finally, never badmouth a previous employer, boss, or co-worker, no matter how much an interviewer might bait you. The interview is about you, so use the opportunity to make your case that you are the ideal candidate for the job. Read about more interview mistakes in our article, Avoid These 10 Interview Bloopers” Critical Jobseeker Mistakes. A fundamental rule of interviewing is to be polite and greet everyone you meet warmly, from the parking attendant to the receptionist to the hiring manager. Employers like to observe how job applicants treat staff members, and being rude or arrogant to any of the staff could derail your job offer. Be aware that the first impression interviewers get in the first few seconds of meeting you can make or break an interview. Ways to ensure you make a good first impression include dressing well, arriving early, and standing, smiling, making eye contact, and offering a firm (but not bone-crushing) handshake when greeting the interviewer. Studies show that hiring managers make critical decisions about job applicants within 20 minutes of beginning the interview, so having a positive attitude and showing enthusiasm for the job and employer are of key importance in the initial stages of the interview. According to studies, employers make a judgement about an applicant’s interest in the job by whether or not the candidate asks questions. This means that, even if the hiring manager was thorough in his or her discussions about the job opening and what is expected, you must ask a few questions to show that you have done your research and that you are curious. It is a good idea to prepare questions to ask days before the interview, and add any additional questions that might come up during the interview. For an idea of questions you could ask at the interview, see our article, Questions You Can Ask at the Job Interview, as well as our article, Make a Lasting Impression at Job Interviews Using Questions. A job interview is sometimes compared to a sales call. You, the salesperson, are selling a product to the employer, which is your ability to fill the organization’s needs, solve its problems and advance its success. Thus, the applicant who is hired is not always the one who is most qualified; the winner is often the candidate who does the best job responding to interview questions and showcasing his or her fit with the job, department, and organization. As the interview winds down, be sure to ask about the next steps in the process and how soon the employer expects to make a decision about the position. See our article, Closing the Sale and Overcoming Objections in Job Interview. It should come as no surprise that common courtesy and politeness, including thanking each person who meets with you, will go far in interviewing. Begin while at the interview by thanking each person who interviewed you before you leave. While writing thank-you emails and notes shortly after the interview is not enough to get you the job offer, doing so will definitely give you an edge over any of the other candidates who didn’t bother writing notes. For more tips on writing thank-you notes, read this article: 10 Tips for Writing a Job-Search Interview Thank-You Letter. You can also check out these job interview thank-you letter samples. Final Thoughts on Job Interview Success: It takes research, practice, and persistence to succeed in job interviews. Putting more effort into your interview preparation will result in your having more success in obtaining job offers, particularly if you remember and follow these job interviewing tips.